On the home front, despite having four young children to care for, including two infant twins, Tiffany focused on what she was grateful for during Tim’s absence and developed some very useful strategies for maintaining a positive attitude. She also benefited from a large support network of friends, family and neighbors who continually helped her and her family. When Tim and his unit returned home after nearly a year (see family picture by Nathan Rowe), they had a renewed sense of appreciation for one another and for their family. Unfortunately, this family’s success isn’t always the case. A new study from Washington says women whose husbands were deployed have higher rates of mental illness than other military wives. “There’s a very clear relationship between the deployment and these mental health diagnoses in these women,” said the study’s lead author, Alyssa Mansfield. For women whose husbands were deployed 11 months or longer, their wives had a 24 percent higher rate of depression. This isn’t very surprising when you place yourselves in the position of a woman, likely with children, who is concerned every day of every month for the safety of her beloved spouse and the father of her children. In addition, she essentially becomes a single parent with all the stress that entails. It’s amazing that some women don’t get depressed, actually. It really puts in perspective the small things we complain about in our home lives when we consider the challenges these military families face daily. The soldier isn’t the only one deployed on an unknown mission; the spouse and children face intense pressures and fears. My family sends our thoughts and prayers for the soldiers and families regularly. Also, remember that some of the spouses left behind are men; they need your support as well. If you know a military family, offer your support in concrete ways, such as mowing the yard in the summer or shoveling snow in the winter, or offer to babysit or run errands so the spouse can get a break. Invite him or her over for a cup of coffee, and listen to what they are going through. The Stoners maintained a blog during the deployment and have recently compiled posts and reflections, along with photos by Nathan Rowe, into a book called “FamilyPrint: A Family’s Unique Reflections During War.” For details, go to FamilyPrint.org. Do you have any military friends or family you want to encourage? Feel free to praise them here on this blog, or send them a personal note of thanks. We owe them a debt of gratitude. Tim Stoner with his son, Briggs, then 7. Photos by Nathaniel Edmunds Photography. This entry was posted in Communication, Divorce, Family, Love, Marriage, Marriage Research, Relationships and tagged Airforce, Army, Coast Guard, deployment increases mental health problems, Family, improve marriage, Love, Marines, Marriage, military mom, military spouse, Navy, support military families. Bookmark the permalink. Indeed, there are so many familes we are grateful to as well, but your family is a great role model! Thanks for sharing. Thank you for highlighting the need to support military families. 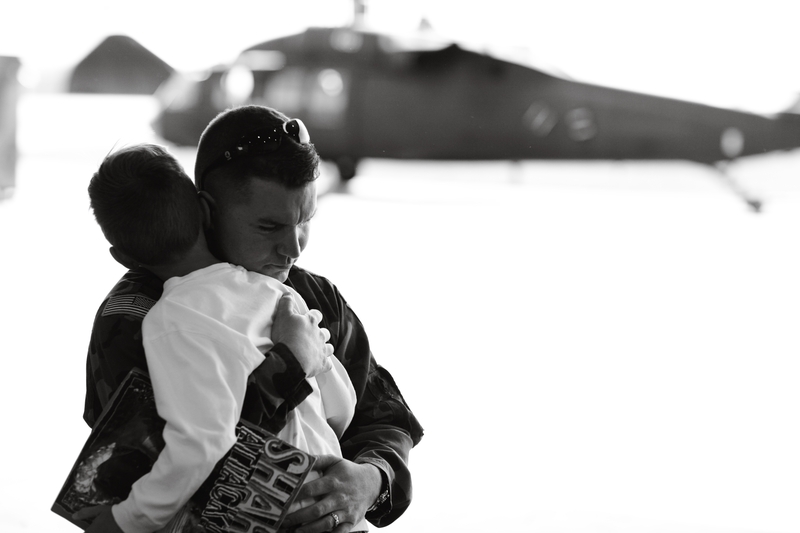 Wrapping up our third deployment, I have been working hard the past two years with my website, Operation We Are Here, to highlight the need to support military families and provide practical insights in caring for our military families. Kudos to you, and thank you for your service. 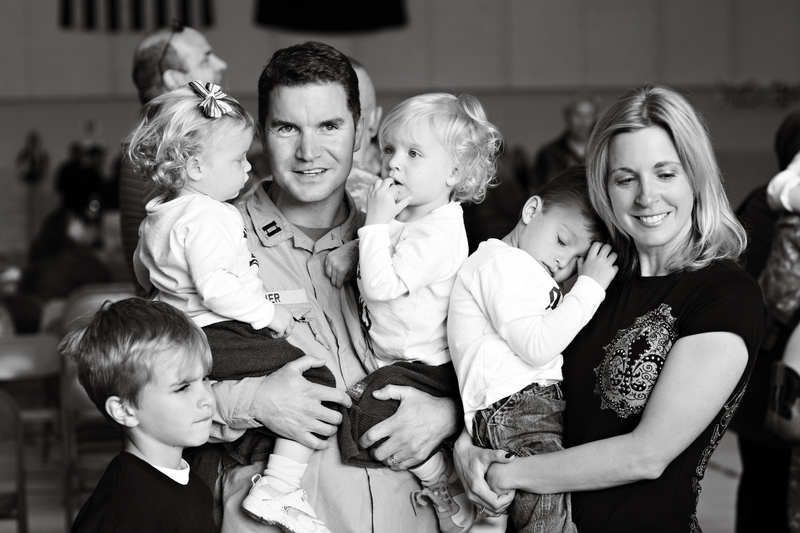 I agree military families deserve every bit of support we can offer. Stay in touch.